Segment 2 (Listen at 9:59): Brian Bailey, who manages two hotels on the Island, talks about why he moved his family to Mackinac Island this winter. He loves "the sense of community. It's a special place." Segment 3 (Listen at 19:21): John and Amy talk to Bob Benser again, as well as master fudge maker Carnel Samuels of Jamaica. 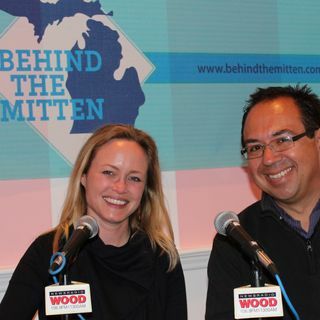 Segment 4 (Listen at 29:40): John and Amy talk about upcoming events, plus BEER of the WEEK from Upper Hand Brewery in Escanaba. Learn more about Original Murdick's Fudge at https://www.originalmurdicksfudge.com/ and how to order fudge for the holidays at 906-847-3530.